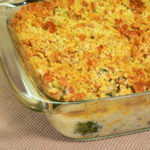 Follow our complete, step-by-step, photo illustrated instructions to make this Broccoli Casserole. 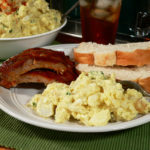 It’s a Southern favorite, perfect for carrying to church socials, family reunions, or just to enjoy for dinner at home. Quick, simple, easy. Your family will love you for it. Printable recipe included. 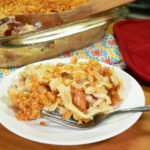 Step-by-step, photo illustrated recipe for making our delicious Chicken Casserole with egg noodles, Chicken and Mushroom Soup, and topped with buttery crackers. Printable recipe included. Complete, step-by-step, photo illustrated instructions. Printable recipe included. 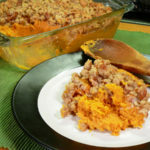 Follow our complete, step-by-step, photo illustrated instructions to make this Sweet Potato Casserole recipe. 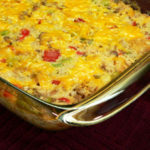 One of our favorite southern dishes, you’ll find this casserole served at church homecomings, family reunions and on Sunday dinner tables everywhere. Printable recipe included. 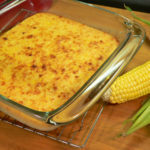 Follow our complete, step-by-step, photo illustrated instructions on how to make this Corn Pudding recipe using fresh corn. Canned or frozen corn can be used, but we like fresh the best. I think you will too. Printable recipe included. 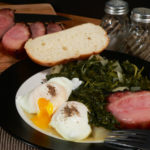 Follow our complete, step-by-step, photo illustrated recipe to make this Hog Jowl and Turnip Greens recipe. Adapted from an old slave cabin cooking recipe, this recipe is most often served at breakfast with poached eggs. Printable recipe included. 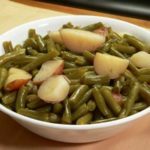 Follow our step-by-step, photo illustrated recipe to make this Southern Style Potato Salad, just like my Mama always made. 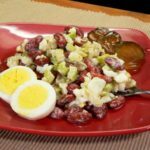 Potato Salad is a great side dish to any meal. Perfect for church dinners, picnics, and so much more. Printable recipe included. Follow our easy, step-by-step, photo illustrated recipe for preparing this delicious medley of summer vegetables. 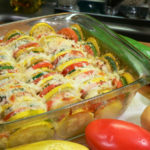 We’ve got squash, zucchini, tomatoes, potatoes and onions, topped with a little cheese to make a delightful display of summers best offerings. Printable recipe included.